In the sections on River Wildlife (B09) and Biodiversity (B06), we looked at the variety of plants and living creatures that live in or near rivers and wetlands. These living creatures can be birds (B09b), mammals (B09c), fish (B09d), amphibians (G1), reptiles, insects and other mini-beasts (B09a). All these creatures need energy to live and are dependent on one another for food to give them energy. When an animal eats food, energy passes from the food into the animal. 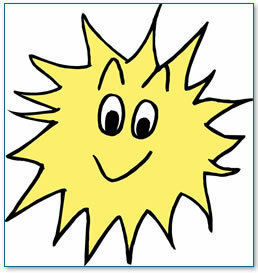 Plants get their energy from the sun through a process called photosynthesis (G1). Photosynthesis is how plants make food by using solar energy to convert water and carbon dioxide into sugar. A food chain shows how energy moves from the sun into plants and animals. Different species eat different foods and are represented by a different food chain. These different food chains can be built up into a food web. A Reed Mace growing at the edge of a pond gets energy to grow from the sun - its leaves are eaten by a Pond Snail - a Duck eats the Pond Snail. 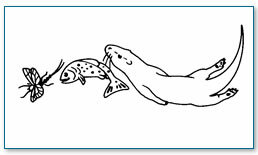 • Draw this food chain by starting with a drawing of the sun and the plant and the animals. Then link these elements with arrows. The arrows show the movement of energy from the sun through the links in the food chain. A waterlily receives energy from the sun, the plant dies back in the winter and the dead leaves from the plant drop down to the bottom of the pond and are eaten by a water louse. The water louse is eaten by a Dragonfly Nymph, which in turn is eaten by a Water Shrew. 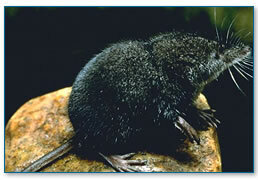 The Water Shrew is caught and eaten by a Kestrel. 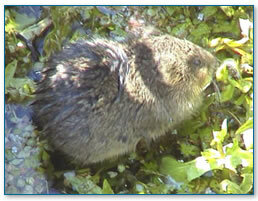 This list provides information on how some of the river and wetland residents get their energy. All types of animals get their energy from the food they eat and plants get their energy from sunlight. 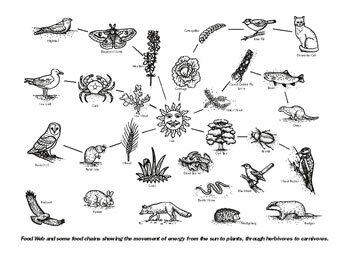 1) Complete the arrows on the food web showing the direction in which energy moves. 2) Using the information in the Wetland Diet Sheet, draw your own food chain - remember that energy always starts with the sun.